It’s less than 2 months until the start of our TNW Latin America Conference in São Paulo. This coming Monday will mark the last day for startups to sign up for the TNW Best of the Accelerators Startup Battle and the first day of judging from our side. Interested in seeing which startups make it to the finals of this Latin American edition? Grab one of the last early bird tickets and secure your attendance. We’ve also updated our list with lots of upcoming tech and media events, and for most events we’ve arranged a special discount. Our goal is to create a compact but complete overview of events to help provide a compact but complete overview of what’s happening in the tech scene. Startup Weekends are 54 hour events where developers, designers, marketers, product managers, business people, students and startup enthusiasts come together to share idea, form teams, build products and launch startups! 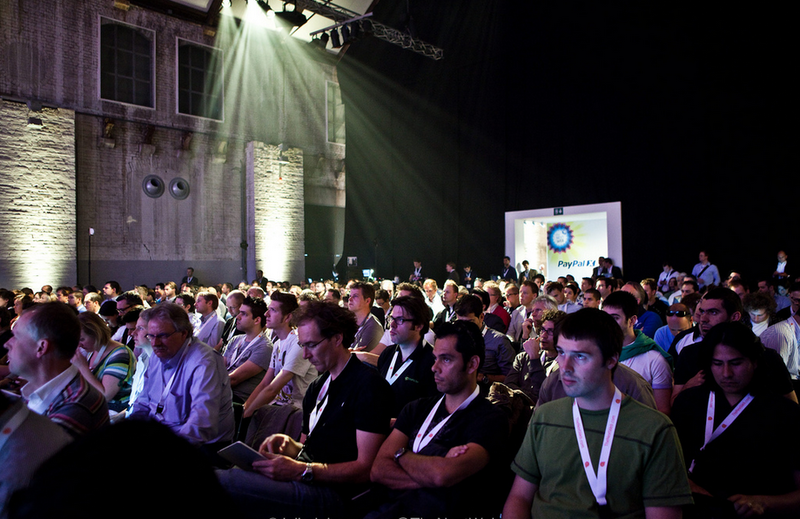 UnPluggd is India’s biggest startup event and is the biggest startup launchpad in India. The event brings together all the leading investors, angels, incubators and importantly, the entire Indian entrepreneurial community. Event agenda includes talks by inspiring entrepreneur and demos of India’s promising startups. Demo nomination ends June 16th, 2012. TNW Readers get a 20% discount using discount code “TNW” here. Focused on technology entrepreneurship, the International Startup Festival draws innovators, startups, investors and clients of new technology from around the globe. The program, centered on the theme “Startups that Matter,” consists of, amongst other things, keynote speakers, elevator pitches, tent expos, workshops, conferences, real money prizes and fun activities. As an entrepreneur, you’ll be able to keep abreast of changes and connect with potential investors. As a VC, you’ll be in a position to find your next hot deal and see where the industry is headed. TNW Readers can get a 15% discount by registering directly here. Now in its second year, Chinwag Insight: Facebook Marketing Conference is back and it’s bigger and better than before. This year’s conference will be packed full of case studies, panels, advice sessions and insight into marketing on the 800m+ social behemoth that is Facebook with the new commercial realities post-IPO. Join us for this hugely valuable day of insight and analysis, featuring expert brand and agency speakers, learn about the very latest in Facebook marketing. TNW Readers can get a 10% discount by using discount code “TNW10” here. Now in its 14th year, OSCON, O’Reilly’s open source conference, will be in Portland, OR July 16-20, 2012 with 200+ speakers, 18 tracks, 100s of technologies & over 3,000 hackers. Join the world’s open source pioneers, builders, and innovators at the Oregon Convention Center for five intense days to learn about open development, challenge your assumptions, and fire up your brain. OSCON is where the serious thinkers and doers & their favorite technologies converge. And when the day’s sessions are over, join people just like you for some serious fun. TNW Readers can save 20% by using code “NEXTWEB” here. From the producers of the #1 crowdsourcing resource site comes the first conference focused on crowdsourcing for large enterprises – Crowdopolis. A conference aimed at teaching the future of advertising, content marketing & tech. Speakers include top managers from GE, Nokia, Amazon, & Kimberly-Clark. Dozens of crowdsourcing companies as well as Fortune 500 employees will gather to talk crowdsourcing, best practices, & how it will be utilized in the future among enterprises. You don’t want to miss it! TNW Readers can get a $50 dollar discount by using discount code “thenextweb” here. TNW Readers can get a 20% discount by using the code “TNW20” here. In today’s age of always-on marketing, the challenge remains for brands to have a clear value proposition that rises above the social media clutter, achieving reach and engagement across multiple consumer touch-points. At this 2-day conference, learn how brands like HP, Marina Bay Sands, Singapore Tourism Board, Metro, Singapore Post, Langham Hospitality Group and more developed a consistent and integrated marketing message by taking a whole-of-business approach, delivering real value in an increasingly fragmented and questioning environment. TNW Readers can get a 10% discount using code “IMC9TNW” when registering here. Customer Experience in Social Media focuses on the most controversial and key issues facing marketing and customer service professionals in the social realm today. With case studies, workshops, and key notes from c-level executives in the financial, entertainment, digital, retail, and research industries – the agenda for CXSM outlines practical and tactical skill sets that attendees can implement across their organization to enhance their over customer experience and social media strategy. TNW Readers get a 20% discount for tickets in June and 15% discount for tickets in July using code “CXSMTNW” here. Get ready for the first international TNW conference. In August we’re bringing The Next Web Conference to São Paulo, Brazil. Brazil is the beating heart of startups and hyper growth in Latin America. TNW brings the world of tech to this fast growing market to support the ecosystem in Brazil and in Latin America as a whole. To share knowledge from world’s leading tech companies, to inspire and to do real business. Are you a Latin American company with ambitions? Are you a company dying to enter or grow your business in this market? You should be at TNW Latin America. Grab the first early bird tickets with 40% discount! Nominations for the inaugural Silicon Prairie Awards are now open. The goal of these awards is to celebrate the Silicon Prairie community, acknowledging the talented designers and developers, startup-friendly service providers, strong community advocates and others that call the region home. All but one category requires the company or individual is based in the Silicon Prairie. The process culminates the evening of August 30 at the Joslyn Art Museum in Omaha, where the winners will be announced live on stage. This event features a special keynote speaker addressing the topic of startup community, an opening and closing reception and, of course, a few surprises. In riding with the theme of `When Technology Meets Business ‘, ITX Asia 2012 targets a large pool of regional enterprise, government, SMB, service provider from throughout Southeast Asia the Indian sub-continent – making ITX Asia a must participate event for ICT solution providers keen to further strengthen their foothold in this key region! For more information, please visit their website. GSMI has secured the best, brightest and most distinct speakers in the mobile industry. MMSS presentations will include case studies, informative presentations and hands-on workshops that cover: Mobile Disruption, Integration, M-Commerce, Apps, Analytics and much more! Attendees will leave the Summit with invaluable information and leading edge tools needed to keep their organization competitive in an always evolving mobile industry. Make sure to secure your seat for MMSS and learn how to harness the most powerful media platform in the world! TNW Readers get a 10% discount using discount code “NEXT10” here. Now in its 3rd year, Apps World has grown to be one of the leading global multi-platform events in the mobile industry. This year’s Earls Court 2 event is set to be the biggest yet with over 5000 developers, mobile marketers, mobile operators, device manufacturers, platform owners and industry professionals expected for two days of high level insight and discussion. With 10 targeted workshop tracks, speed meeting, one-to-one meetings, parties, and awards the event will be tackling a spectrum of issues across the app ecosystem. The event has free to attend workshops for developer and a free exhibition register here. TNW readers can save 15% on full workshop passes with discount code “TNW15” here. Europe’s premier event for social media, mobile and online marketing professionals from across the travel industry is back for another successful year, brought to you by EyeforTravel. Attendees will hear insightful presentations from Disney, KLM, Wyndham, IHG, Best Western, TUI, HomeAway, Contiki Holidays, Google, Lufthansa, and many more. Key topics include driving meaningful social media engagement, improving web content and user experience, getting to grips with mobile and much more. TNW Readers can get a €150 discount when registering with code “TNW150” here. Each year EiG serves as a melting pot at which iGaming’s CEOs and thought leaders mix with regulators and the brightest new market entrants. Courtesy of a compelling mix of panel discussions, case studies and brainstorming sessions, the 11th European iGaming Congress and Expo will dissect the social gaming phenomenon, drilling down to evaluate its value as a player acquisition and retention tool as well as a new business model. To join 1700 of the industry’s most progressive minds visit their website here. The first WPDevCon: Windows Phone Developer Conference is the independent conference for software developers, marketers and entrepreneurs building applications for Windows Phone-powered smartphones. Windows Phone is poised for take off with Microsoft putting the engines on full power in 2012. Projected attendance is 500+ from across the globe. Exhibits admission is free! TNW Readers can receive a $100 discount off the prevailing rate for the 3-day pass by inserting the code “MEDIASPONSOR” when prompted on the eRegistration page. The flagship information security conference series of EC-Council, with its objective being to raise awareness towards increased education and ethics in Information Security. Since 2004, Hacker Halted has been organized in world class cities such as Miami, Dubai, Kuala Lumpur, Singapore, Taipei, Guangzhou, Cairo, etc. Hacker | Halted by EC-Council will be the iteration of the globally successful series of academies and conferences, created solely with the emphasis to equip security professionals with the latest tools and know-how to ensure the integrity of our security system from malicious attacks. TNW Readers can get a 10% discount by quoting “TNW” when registering here. Are you hosting an event that would be relevant to our readers? Please contact Wytze to discuss media partnerships with TNW or submit your event here.